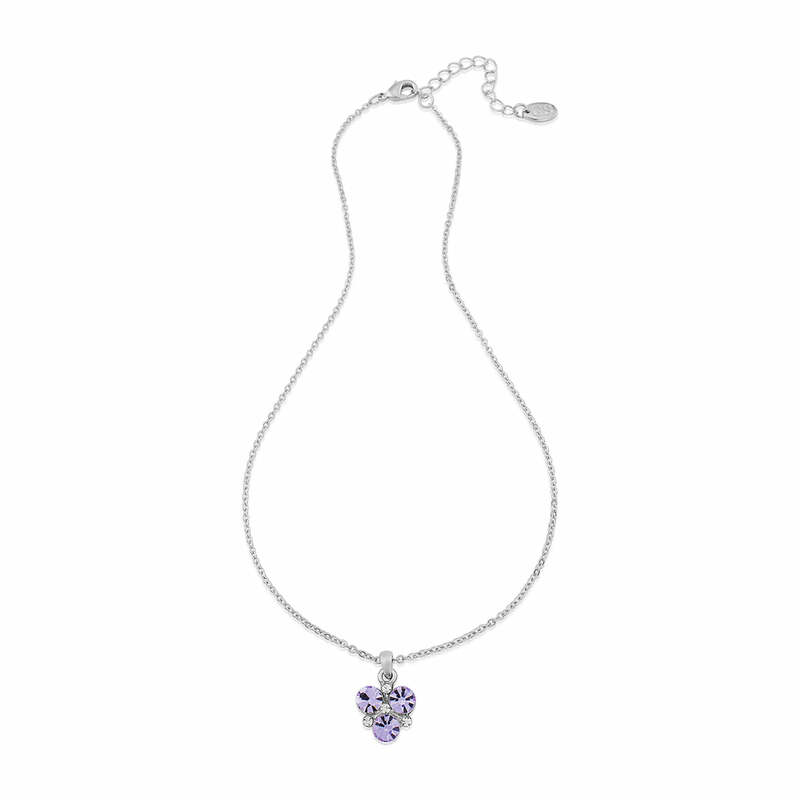 A beautiful lavender crystal pendant oozing 1950s charm, this elegant design is captivating. 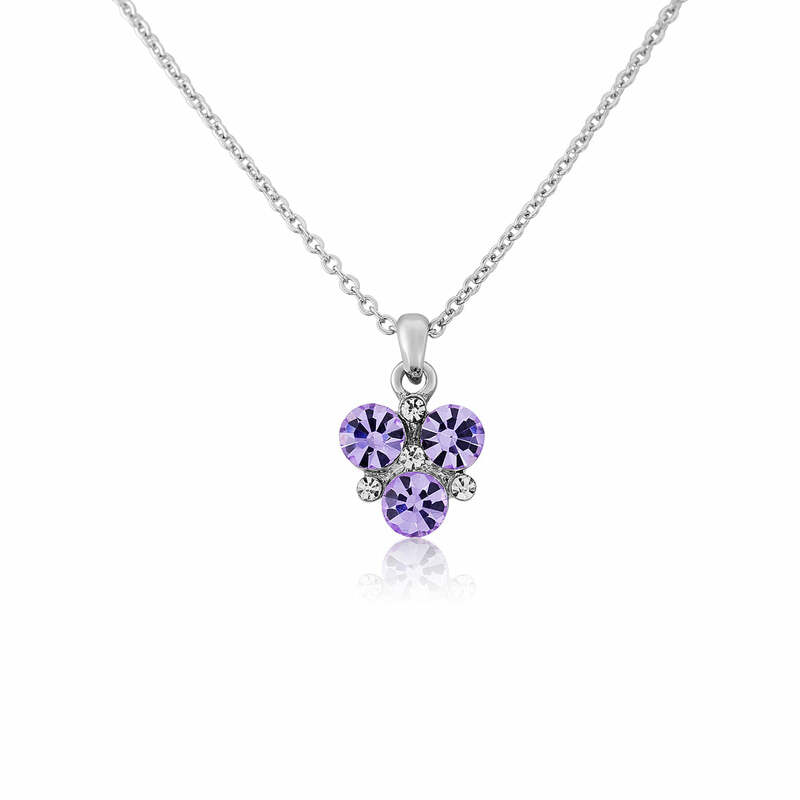 Lavender hues come alive in Summer and our Allure of Lavender Pendant certainly glistens and shines as it’s sparkling crystals catch the sunlight. 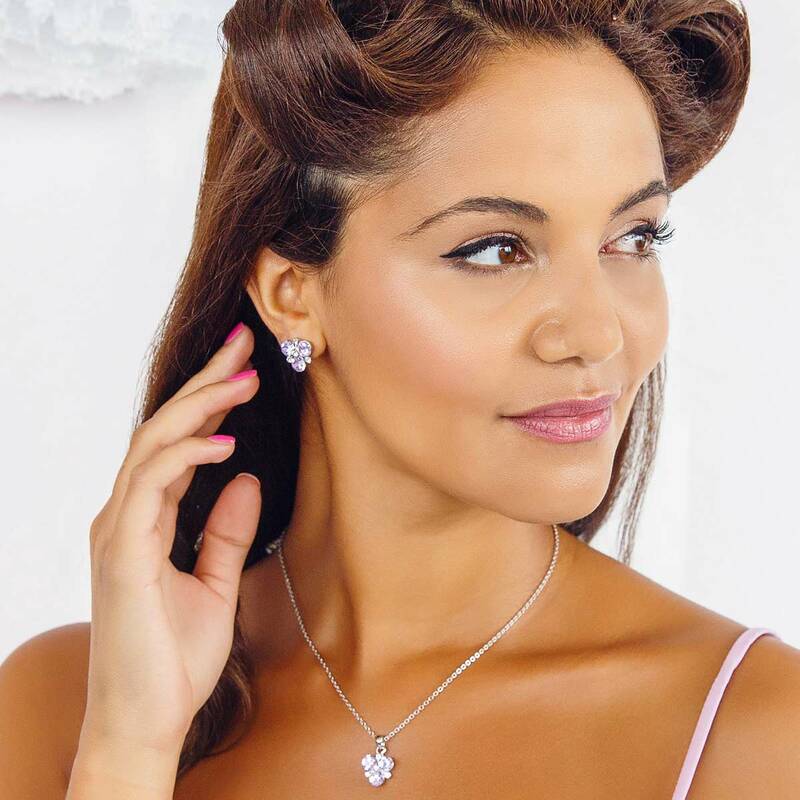 The perfect length to sit beautifully below your neckline the shimmering lavender crystals are highlighted with petite clear stones to radiate 1950s retro charm. Whether you choose to wear it alone with a pretty floral top or team with Allure of Lavender Earrings and a cute tea length dress your feminine style will pop with colour and elegance. Brides with a lavender or lilac wedding theme will adore our mix and match collection of Allure of Lavender jewellery and accessories. Add glitz to your bridesmaids and they will be picture-perfect on your special day. The beauty of vintage inspired lavender crystals with pretty purple posies will create a 1950s extravaganza which will have your guests swooning with delight.